Nepal is known to the rest of the world as a premium adventure destination. Kathmandu with its 8 million people is a tourists gold mine, a living cultural museum, with its ancient palaces and temples.Our trip takes us into the Sherpa area of Gokyo on some of the best trekking trails in Nepal. 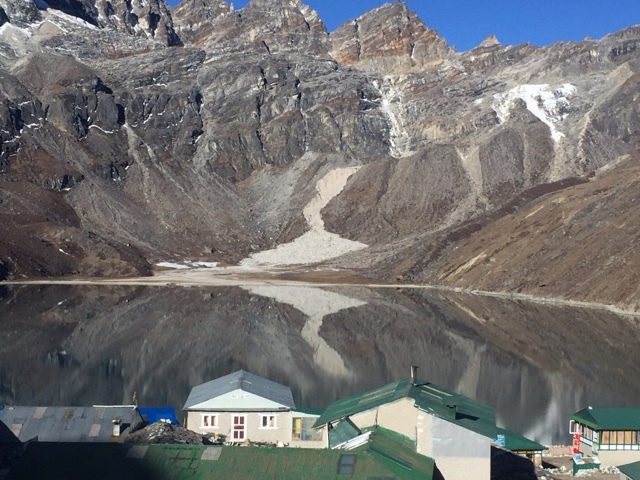 Gokyo is surrounded by a series of high altitude glacial lakes, and to get there it will take us 9 days of hiking across rolling hills, majestic snow clad mountains, deep gorges and valleys. overflowing with magnificent cascading waterfalls. To get there, first we had to fly into the most dangerous airport in the world, we were blessed with a endow of perfect weather. 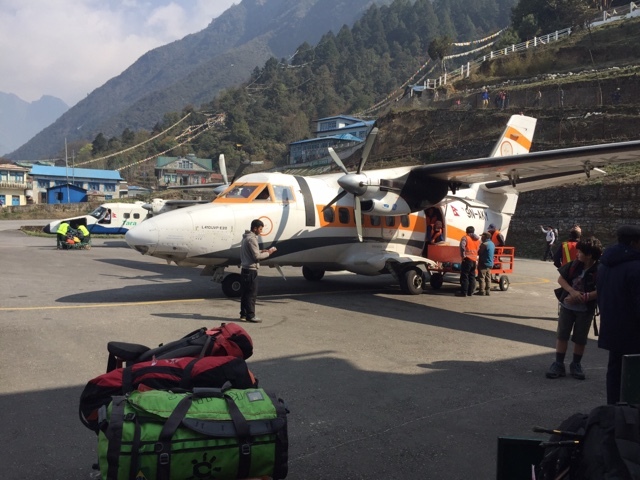 Our small plane which seats 12 passengers took off from Kathmandu airport at 730am, 30 minutes later after a few frightening moments when we hit a patch of unforgiving turbulents we landed safely at Lukla airport. Our first days hike is easy with only a 4 hour descending to the small village Phakding situated 200 mtrs below Lukla. We passed many tourists on their final day, looking very tired and dirty, we all envisaged that this was what we would look like in 2 weeks. The next day would be our biggest and nor if our most challenging days as we head towards the vibrant Sherpa trading village of Namche Bazzaar. The morning hike took us through small settlements scattered with many lodges, there owners patiently waiting for a tourist to stop for tea, lunch or a bed for the night. After passing through the entrance to Sagamatha National Park, and crossing our 3rd suspension bridge we begin to climb, one again heading towards the highest and most dangerous suspension bridge, situated high above a deep gorge. The wind picked up! dust swirling around us created from the many donkeys and yaks we passed along the trail. Our guide yelled out "stay over to the left" find a safe place until they pass. The bridge crossing was difficult as the wind buffetted us against the side, it was extremely hard to find your balance, a few more steps and we made it safely to the other side. Finally we catch glimpses of the majestic snow capped mountains thousands of metres above us, what an awesome sight. 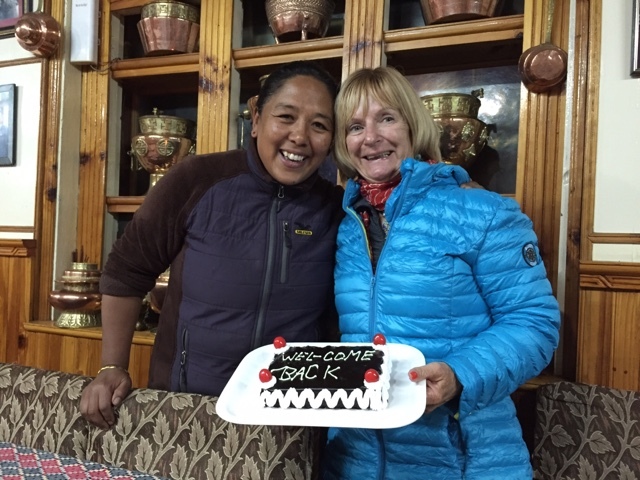 After 2 hours of climbing we finally reach Namche what a relief to arrive and see my good friends Ang Mai and Dorge's at the famous Namche Lodge. Ang Mai even baked a cake for the special occasion.